2018-10-25 World Championship Greco-Roman Seniors 67.0 SRB 2. 2018-06-22 Mediterranean Games Greco-Roman Seniors 77.0 SRB 2. 2017-05-06 European Championship Greco-Roman Seniors 66.0 SRB 2. 2016-12-08 Club World Championship Greco-Roman Seniors Team SRB 3. 2016-08-14 Olympic Games Greco-Roman Seniors 66.0 SRB 1. 2016-03-12 European Championship Greco-Roman Seniors 66.0 SRB 2. 2016-02-13 Ljubomir Ivanovic Gedza International Greco-Roman Seniors 71.0 SRB 3. 2016-02-06 Grand Prix of Hungary Greco-Roman Seniors 66.0 SRB 3. 2015-11-27 Golden Grand Prix Greco-Roman Seniors 66.0 SRB 13. 2015-09-07 World Championship Greco-Roman Seniors 66.0 SRB 3. 2015-07-18 Ion Corneanu Memorial Greco-Roman Seniors 66.0 SRB 1. 2014-09-08 World Championship Greco-Roman Seniors 66.0 SRB 1. 2014-07-24 Golden Grand Prix Greco-Roman Seniors 66.0 SRB 3. 2014-06-10 Mediterranean Championship Greco-Roman Seniors 66.0 SRB 1. 2014-04-01 European Championship Greco-Roman Seniors 66.0 SRB 17. 2014-03-01 Golden Grand Prix Greco-Roman Seniors 66.0 SRB 1. 2014-02-07 Zagreb Open Greco-Roman Seniors 66.0 SRB 1. 2013-11-22 Golden Grand Prix Greco-Roman Seniors 66.0 SRB 5. 2013-06-20 Mediterranean Games Greco-Roman Seniors 74.0 SRB 10. 2013-05-11 Jacob Curby Cup Greco-Roman Seniors 74.0 SRB 3. 2013-04-19 Adriatic Trophy Greco-Roman Seniors 66.0 SRB 1. 2013-02-23 Golden Grand Prix Greco-Roman Seniors 66.0 SRB 3. 2013-02-08 Ljubomir Ivanovic Gedza International Greco-Roman Seniors 66.0 SRB 3. 2013-02-02 Vehbi Emre Greco-Roman Seniors 66.0 SRB 19. 2012-06-16 Ljubomir Ivanovic Gedza International Greco-Roman Seniors 74.0 SRB 2. 2012-06-16 Ljubomir Ivanovic Gedza International Greco-Roman Seniors 66.0 SRB 2. 2012-05-04 Olympic Qualification Tournament Greco-Roman Seniors 60.0 SRB 3. 2012-03-06 European Championship Greco-Roman Seniors 60.0 SRB 3. 2011-09-12 World Championship Greco-Roman Seniors 60.0 SRB 12. 2011-07-08 Golden Grand Prix Greco-Roman Seniors 60.0 SRB 2. 2011-06-10 Mediterranean Championship Greco-Roman Seniors 66.0 SRB 1. 2011-06-10 Mediterranean Championship Freestyle Seniors 66.0 SRB 2. 2011-04-02 European Championship Greco-Roman Seniors 60.0 SRB 23. 2011-03-05 Golden Grand Prix Greco-Roman Seniors 60.0 SRB 2. 2010-09-06 World Championship Greco-Roman Seniors 60.0 SRB 24. 2010-04-17 European Championship Greco-Roman Seniors 74.0 SRB 21. 2009-09-25 World Championship Greco-Roman Seniors 60.0 SRB 5. 2009-07-27 Golden Grand Prix Greco-Roman Seniors 66.0 SRB 16. 2009-06-25 Jeux Mediterranéens Freestyle Seniors 66.0 SRB 5. 2009-06-25 Jeux Mediterranéens Greco-Roman Seniors 60.0 SRB 1. 2009-04-04 European Championship Greco-Roman Seniors 60.0 SRB 5. 2008-08-12 Olympic Games Greco-Roman Seniors 60.0 SRB 14. 2008-05-10 Olympic Qualification Tournament Greco-Roman Seniors 60.0 SRB 1. 2008-04-05 European Championship Greco-Roman Seniors 60.0 SRB 3. 2007-09-17 World Championship Greco-Roman Seniors 60.0 SRB 9. 2007-08-04 Dan Kolov - Nikola Petrov Tournament Greco-Roman Seniors 60.0 SRB 1. 2007-04-19 European Championship Greco-Roman Seniors 60.0 SRB 17. 2006-09-25 World Championship Greco-Roman Seniors 60.0 SCG 12. 2006-06-23 Golden Grand Prix Greco-Roman Seniors 60.0 SCG 5. 2006-04-27 European Championship Greco-Roman Seniors 60.0 SCG 9. 2005-09-30 World Championship Greco-Roman Seniors 60.0 SCG 15. 2005-08-01 European Championship Greco-Roman Juniors 60.0 SCG 3. 2005-07-05 World Championship Greco-Roman Juniors 60.0 SCG 1. 2005-06-26 Jeux Mediterranéens Greco-Roman Seniors 60.0 SCG 2. 2004-08-23 Olympic Games Greco-Roman Seniors 60.0 SCG 18. 2004-07-16 European Championship Greco-Roman Juniors 60.0 SCG 3. 2004-04-08 European Championship Greco-Roman Seniors 60.0 SCG 2. 2004-03-13 Olympic Qualification Tournament Greco-Roman Seniors 60.0 SCG 2. 2004-02-28 Olympic Qualification Tournament Greco-Roman Seniors 60.0 SCG 5. 2003-10-01 World Championship Greco-Roman Seniors 60.0 SCG 15. 2003-08-24 World Championship Greco-Roman Juniors 60.0 SCG 2. 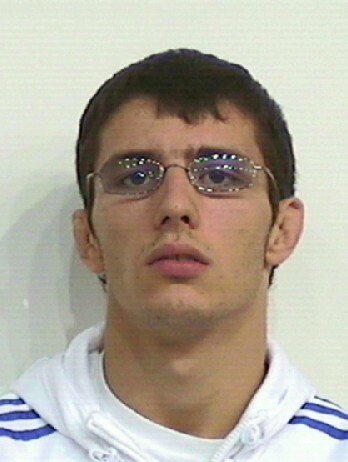 2002-07-04 European Championship Greco-Roman Cadets 54.0 YUG 8. 2002-06-27 European Championship Greco-Roman Juniors 54.0 YUG 6.